Exclusive commentary available on UpUpDownDown featuring WWE Superstars. The New Day and Elias alongside hip-hop powerhouse Wale. 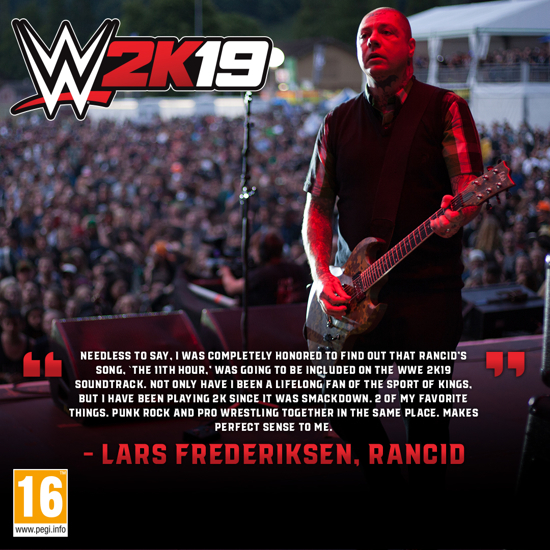 2K today announced in-game soundtrack details for WWE 2K19, the forthcoming release in the flagship WWE video game franchise. 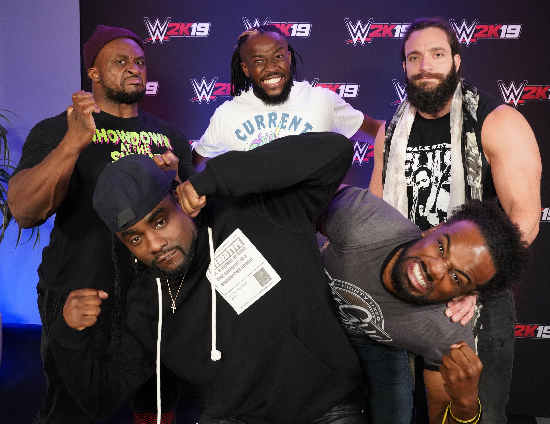 The soundtrack was exclusively revealed yesterday by WWE Superstars The New Day and Elias – along with global hip-hop magnate and WWE super fan Wale on UpUpDownDown, WWE Superstar Xavier Woods’ preeminent gaming YouTube channel. 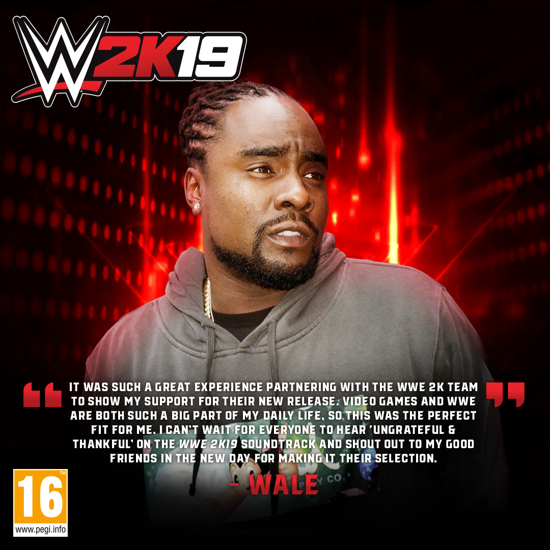 Executive produced and personally curated by several WWE Superstars as a special gift to the WWE Universe, WWE 2K19’s soundtrack features 12 unique songs across hip-hop, hard rock, heavy metal and alternative/indie rock that represent many of the Superstars’ favourites when preparing for a match, on the road, in the gym or relaxing at home. In addition, Apple Music will serve as the premier streaming provider for the WWE 2K19 in-game soundtrack, with the collection of hand-picked Superstar hits available now for streaming at apple.co/wwe2k19. Developed collaboratively by Yuke’s and Visual Concepts, a 2K studio, WWE 2K19 is rated “T” for Teen by the ESRB. WWE 2K19 is currently scheduled for worldwide release on October 9, 2018 for the PlayStation 4, Xbox One family of devices including the Xbox One X and Windows PC. Players who purchase the WWE 2K19 Wooooo! Edition at participating retailers will receive Early Access to their game copies and in-game bonuses beginning four days early on October 5, 2018 for the PS4 system and Xbox One. In addition, players who purchase the WWE 2K19 Deluxe Edition, available in both physical and digital varieties at participating retailers, will also receive Early Access to their game copies and in-game bonuses – including all Wooooo! Edition digital content – beginning four days early on October 5, 2018 for the PS4 system, Xbox One and Windows PC. 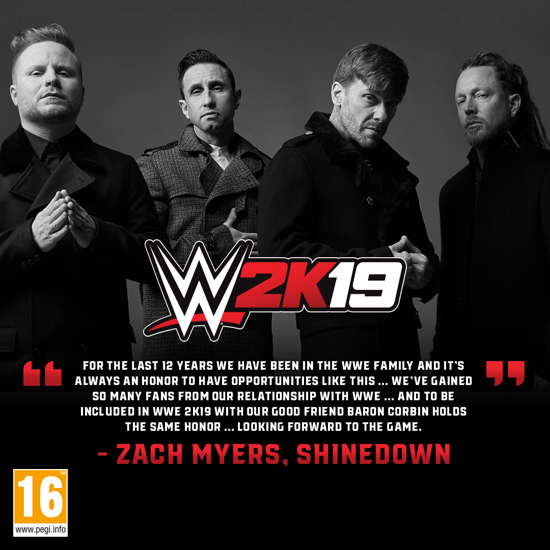 For more information on WWE 2K19 and 2K, visit wwe.2k.com.